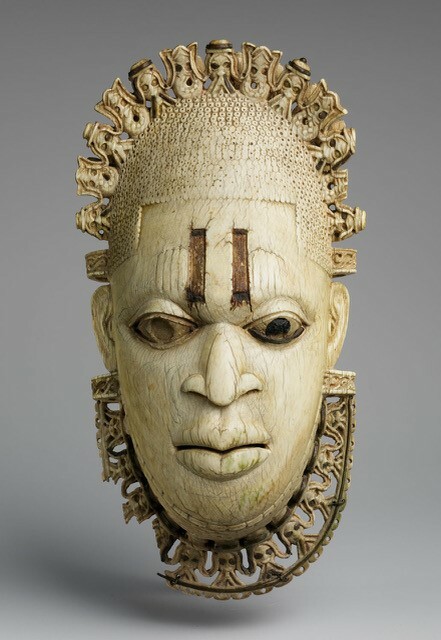 Queen Mother Pendant Mask, Nigeria (Benin), Edo peoples, 16th century. Metropolitan Museum of Art, gift of Nelson D. Rockefeller, 1972. On 22 March, the Courtauld Institute, London hosted a debate on how we should consider historic works of art made of or including ivory, against the background of calls for a total ban on commercial transactions. Although the three speakers had been chosen to represent different groups within the ongoing discussion (animal welfare, museums and the art market), there was agreement over the issues, and broadly on the solutions. An hour-long, moderated discussion between Will Travers (Born Free Foundation), Alistair Brown (Museums Association) and myself was followed by a thirty minute Q & A. The consensus from the floor suggested, as I have so often said, that it is not a binary choice: you can (and must) conserve endangered species, of all sorts, while properly recognising the integrity and significance of works of art representing the material survivals of our shared cultural inheritance.